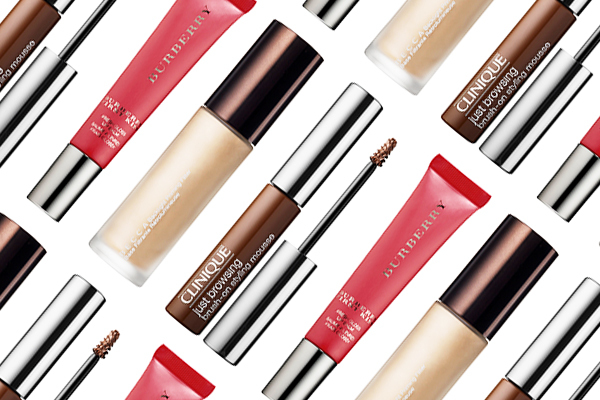 What's New: Clinque, Becca and Burberry | Top Beauty Blog in the Philippines covering Makeup Reviews, Swatches, Skincare and More! A long-wearing tinted brow mousse that keeps brows in place, a makeup primer to help blur imperfections and impart a radiant glow and a glossy balm that melts onto lips for a touch of sheer color; all available now! CLINIQUE JUST BROWSING BRUSH-ON STYLING MOUSSE - Clinique’s Just Browsing Brush-On Styling Mousse is a 24-hour-wear mousse that tints, tames, and fills-in even the sparsest arches. Its mini applicator allows you to brush on natural-looking color for thicker, fuller brows. Housed in a sleek, portable vial, this water-resistant brow mousse delivers easy, no-mess application. BECCA BACKLIGHT PRIMING FILTER - Backlight Priming Filter creates a canvas for your makeup, extending its wear from day to night. Infused with three unique Filtering Luminescent Pearls, each one adds a different drop of diffused light. Blended together, they impart a one-of-a-kind, lightweight, whipped fluid that creates a smooth canvas and acts as an instant filter, while the vitamin E-enriched formula minimizes the appearance of fine lines and wrinkles. BURBERRY FIRST KISS GLOSSY LIP BALM - Burberry’s First Kiss lip balm's ceramic applicator glides on a gloss-balm hybrid that gives lips a smooth finish and invigorated feel. This sensorial balm glides on effortlessly, delicately enhancing the lips with a creamy subtle sheen of color, while providing eight hours of hydration and an ultrasoft feel. Becca is one of my favorite brand. I need somenone of these! I love Clinique products ! Great post! Love all these products. Love these colors, I must go get it! I'd like to try the Becca product. Thank you, the procucts are looking as if they are a try worth! those are great makeup brands! That lip balm sounds dreamy! This is awesome article and beautiful lady, I really enjoy reading it, thanks for your sharing to all together. Regard - Blogger Technical Supporter a best blog tutorial.